You are here: Home / consumer info / 401K, IRA, ETFs? Which Investment Strategy is Right for Me? Investing provides an amazing wealth of vehicles to reach financial goals. These vehicles exist whether your intentions are short-term, like building emergency funds, to saving long-term for retirement, and anything in-between. You’ll likely find yourself following several personalities and financial plans as you invest time and resources into learning personal finance. This educational process could include slow-and-steady methods like the ‘Snowball Effect‘ popularized by Dave Ramsey. Or, attempting a modern, hyper-aggressive method like FIRE (Financial Independence, Retire Early). Any method is viable if you’re willing to learn the strategies and stay the course. The trouble is: Where do I even start? Let’s skip the basics (e.g. reasons to save) and dive right into the types of investments you may want to explore. There is no “best” investment strategy since you can never be quite sure what the future holds. It’s almost unanimously agreed that time in the market is better than timing the market. Even right now, there are rumblings of a possible bubble and a recession — with many pulling out of the market and sitting on their cash. Others are charging forward like bulls, without flinching at what’s causing others to worry. Diversification, as you’ve heard before, is key for whichever direction the market and the economy go. Investing in currency involves hedging against inflation and attempting to arbitrage national economies. A common vehicle in this space is trading the US Dollar to the British Pound but there are many options once you look around. Check into the Best Foreign Currency Investments for 2018 to see current currency exchanges and opportunities. Mutual Funds are a collection of other people’s money toward the common goal of financial growth. This lets participants tap larger investment pools, funneling investments outside the reach of a sole individual. The most common of these is through a 401k as it gives exposure to multiple sectors to provide stability and compounding returns. Look for mutual funds providing growth opportunities with low management fees for optimal returns. Investments into individual stocks aren’t as scary as many lead you to believe. Combining market awareness and a few, basic stock valuation exercises can provide great income opportunities. Get your feet wet investing in broad index funds tracking the overall market. Then explore individual stocks from companies you know and understand. This creates excellent exposure to markets, industries, and businesses you believe are growing. Check with your preferred financial institutions for a brokerage/investment account. Fund your account and put time and resources in following the markets. Like currencies, Gold, Silver, and other precious metals are a common buy & hold strategy. These investments are seen as recession-proof because they often hold value during an economic downturn. This, however, isn’t always the case if you’re unable to find buyers to offload your metals. But, there would be bigger problems going on if you couldn’t so please do further explore this option for diversification. The hot, trending investment is cryptocurrencies. Cryptocurrency is virtual money tied to a blockchain project. The biggest of these, Bitcoin, has grown tremendously over the past 5 or so years. Many call it “digital gold”. There are other cryptos like Ethereum, LiteCoin, and a dizzying amount of alt-coins like Ripple, Dash, and Cardano. The crypto market is incredibly volatile with countless ICO scams, hacks, and pump/dumps. Those wanting to explore cryptos should stick to the top 10 traded coins as these have legitimate projects and adoption. Ever have an interest in flipping or investing in income/rental property? Didn’t want to take on the risks and headache of managing the property? If so, REITs are something you should likely explore. These are ‘real estate investment trusts’ comprised of different property sectors and holdings. REITs are available through private/public investments and commonly found via stock tickers. REITs tend to grow during economic expansion and pay high dividends. The Earlier the Better. Start Today. Just as a disclaimer, none of the information in this post is suggested investment advice. Do your own research. However, you do need to recognize the value of getting in sooner than later as this gives you more time to grow your portfolio. Compounding and tax-free earnings are a magical thing. Even a 5-year difference can have a substantial impact on your growth potential. 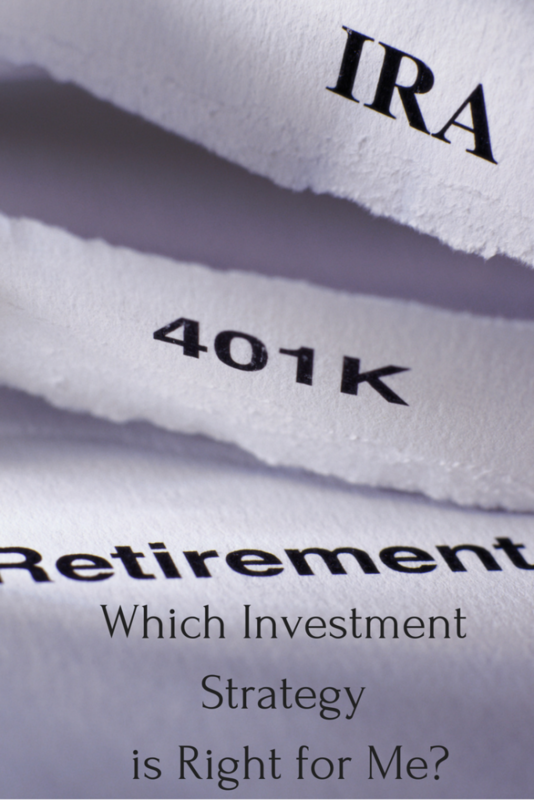 Explore which option works best for you and invest what you’re comfortable with. Great post Michele! Quite helpful and informative. Thanks for sharing and keep posting more.